20 straight seasons finishing top five in scoring. How ridiculous is that? The longevity and good health required for that, together with playing at a high level. It's days like today when you feel weird being away from home. 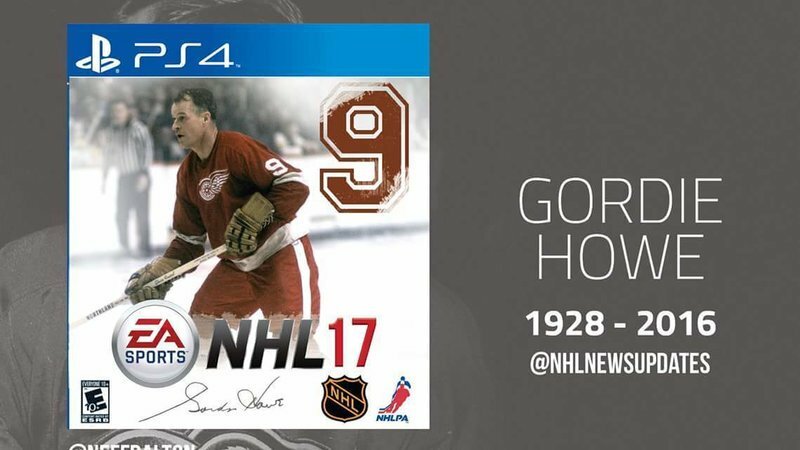 Gordie meant so much to us in Detroit and the hockey world. He was a hero some of our parents grew up with and legend to us kids. When we'd see him at an event or at a rink, you knew you were in the presence of pure, bonafide greatness. The hockey world won't be the same, but we won't forget. Best player ever. Gretzky scored more, but Howe could do it all and didn't have the benefit of playing in the 80s when it seemed lime half the league couId score 30 or 40 goals a year. "He is, he was, he will always be the greatest of all time," - Wayne Gretzky in reference to Gordie Howe. Talented, physical, tenacious and the greatest elbows of all time. If he was 40 today, he could still play in the NHL. Cheers to you, Gordie! Funeral and visitation is open to the public on Tuesday. Visitation from 9 am to 9 pm (9 to 9 for #9) at the Joe Louis Arena. I'll be going, hope some of ya'll make it out. And Gordie will lie in state in the Joe. We wouldn't have had it any other way. Will certainly be going on Tuesday. "Aislin", Montréal Gazette; originally done in 2014. That photo of him with the fishing reel is amazing. Dude was jacked to the ****. I thought that photo was fake? Nah most of the athletes now that look like that are. His 21 seasons in a row of being top scorer will never be challenged. Just listened to a guy talk about that. He's been in the roid business since the 80s. Pretty much all the top athletes in all sports are on banned substances. Look at sharapova. You think everyone else isn't doing it? I think gordie was a genetically gifted athlete like bo Jackson. He was a farm boy and had been eating good and working hard his whole life. I work with a guy in his sixties that was a farm boy in NC. He showed me a pic of him at the beach in the 70s. Dude was ripped and he never went to the gym. Farmer carries are your friend. Yeah, the guy says the same people would be in sports if there were not PEDs but they just wouldn't be as big or powerful. They all have the good genes for it, they just take substances to enhance it. Theres no way people like rich froning and dan bailey and albert pujols are that jacked from thousands of calories and a workout routine. Sharapova took a drug that's been banned for only a few months. She'd been taking it her entire career. Just got an email from the Flint Firebirds. They will be chartering a bus and transporting people to Gordie's visitation tomorrow for FREE, and will even provide snacks (haha!). Very cool. Sharks had a nice tribute for him in Game 6. Very classy of the Sharks to do that. Further proof that everybody admired Mr. Hockey. Is anyone going to his viewing?